Times of India – NEW DELHI: Mayank Agarwal has finally been rewarded for his consistent performances on the domestic circuit as the selectors have picked the Karnataka batsman in the Indian team for the upcoming two-match Test series against West Indies. 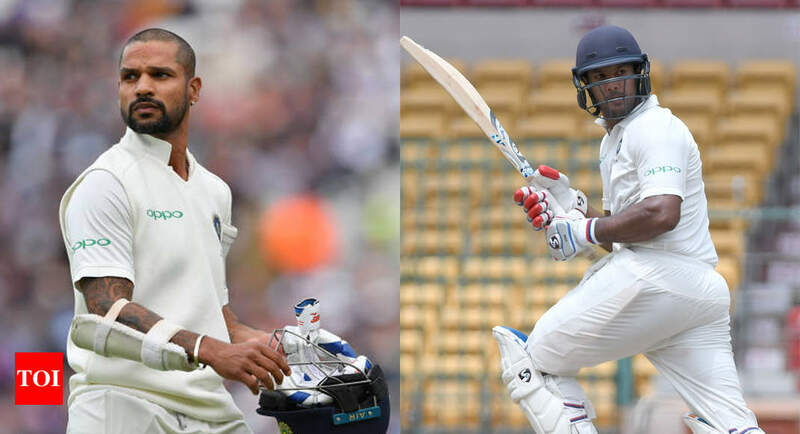 NEW DELHI: Mayank Agarwal has finally been rewarded for his consistent performances on the domestic circuit as the selectors have picked the Karnataka batsman in the Indian team for the upcoming two-match Test series against West Indies. While Mohammed Siraj -maiden Test call-up – and Kuldeep Yadav were included in the Virat Kohli-led 15-member squad. Taking stock of the recent workload, the selectors have decided to rest Jasprit Bumrah and Bhuvneshwar Kumar . Whereas Ishant Sharma and Hardik Pandya were not considered for selection, as they are yet to recover from their injuries.